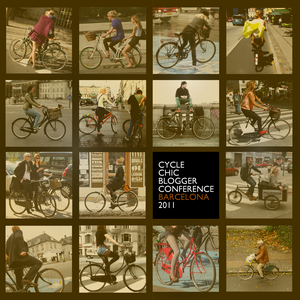 In two weeks, we will be attending the Cycle Chic Blogger Conference in Barcelona. ‘Cycle Chic‘ is a concept Mikael Colville-Andersen invented in Copenhagen. Its aim is to show the style in cycling. Colville-Andersen started in 2006, and has since then spread Cycle Chic over the internet faster than a bowl of crisps is passed around at a house warming party. Cycle Chic now has worldwide coverage, with bloggers in all the major cities showing how bikes and beauty are a natural combination. The bloggers avoid anything with helmets and lycra, and seem to have a preference for ladies on traditional bikes (who wouldn’t?). In Barcelona we will be meeting those bloggers to hear about cycling from Seville to Sydney to Sacramento — and then some. 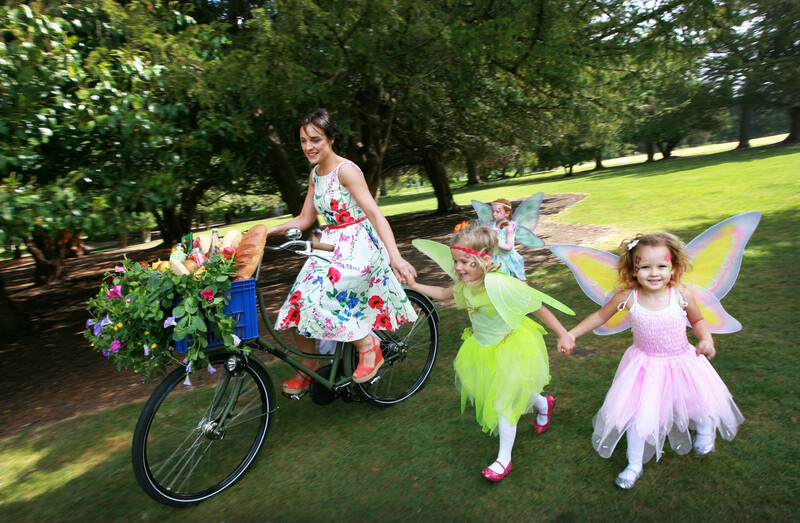 We, in turn, will show what Dublin has to offer on stylish cycling. And that’s where you can help. If you have footage of our city’s Chic Cyclists, let us know. 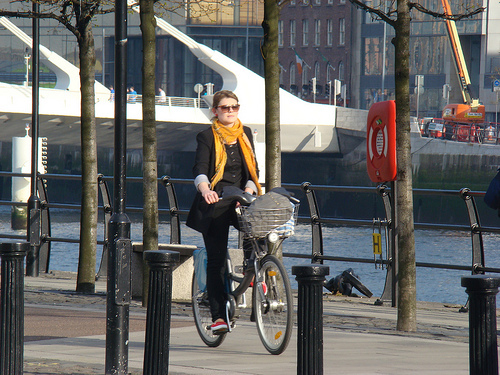 I am posting some Cycle Chic material from Dublin below, to set you off in the right direction. But please feel free to contribute anything you have — films or foto’s; poetry or prose. The day he turned three, Thomas Pedoussaut got a small bike with training wheels. When he broke one of the training wheels in a childhood tantrum, his parents told him they weren’t going to replace it and that he would have to learn cycling without them. However, Thomas had gotten used to the stability of the training wheels and refused cycling without them. 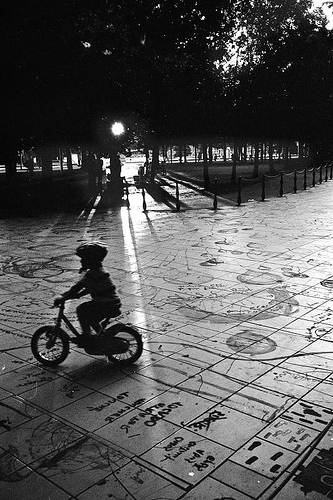 ‘Le jour de mes quatre ans’ (‘The day I turn four’), Thomas told his parents, would be the day he’d get back on the bike. And with that he went off to play in the garden. For a year, Thomas went without cycling and his parents watched their son grow up without his new bike. Then on his fourth birthday, Thomas got back on the bike – just like he said he would. It took him some time to learn how to keep himself stable and upright – the short experience with the training wheels had let him get away with unrealistic slow pedaling, slouching on his saddle and wobbling from one training wheel to the other like a rocking arm pump. But once he figured out all he needed was a bit of speed, Thomas never wanted to get off his bike again. 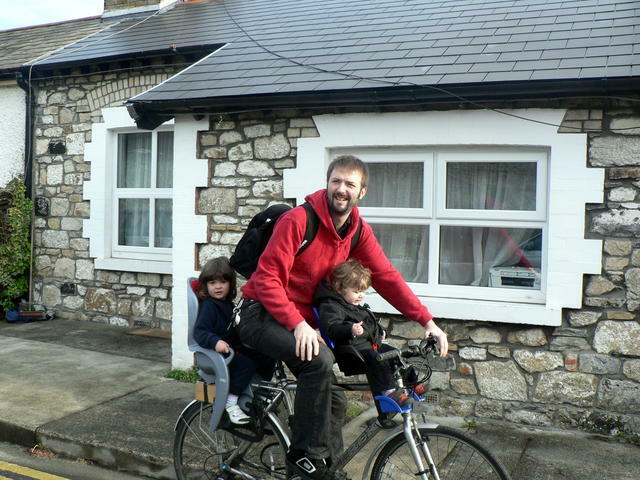 So when Thomas moved to Dublin 20 years later, for a job as software engineer at Google, he took his bike with him. 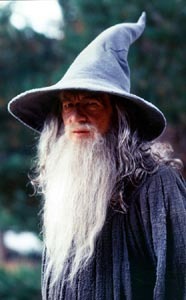 He arrived in 2003, in a city at the height of an economic boom. He got to know the city by cycling to work, by cycling to the city centre, and by cycling to the beach. To his surprise, Thomas noticed cyclists were few. When stopping at traffic lights, he got the sensation he was being ignored or frowned upon. By talking to locals he became aware of the social signals his foreign eyes hadn’t seen at first; people saw cycling as an activity for those who couldn’t afford a car. 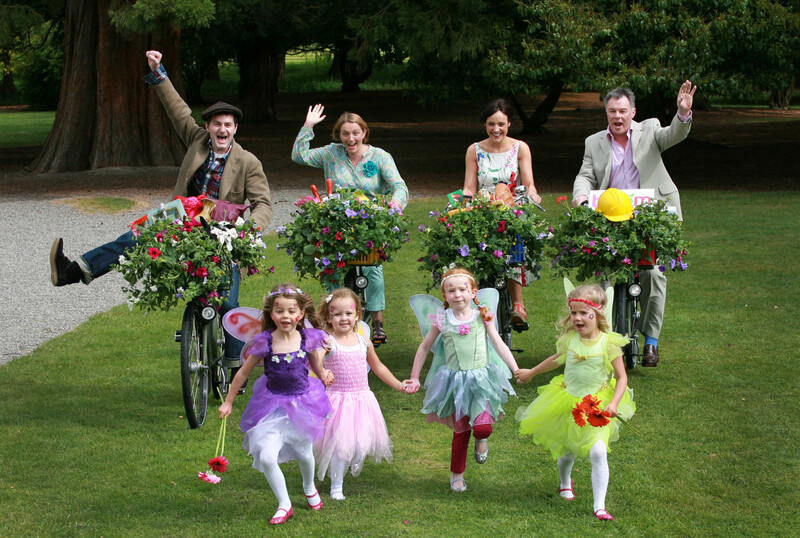 It prompted Thomas to join the Dublin Cycling Campaign. In a time where bike shops in Dublin were closing their doors, Thomas did anything he could to encourage cycling –shooting videos, rallying campaign members, and organizing social cycle tours. Later, when he met his wife (an Irish lady he got to know on Orkut; Google’s Facebook avant la lettre), he convinced her of the benefits of cycling. Later still, Thomas took his sons, Ryan and Tristan, everywhere by bike, telling Dubliners the joys of cycling when waiting for traffic lights to turn green. 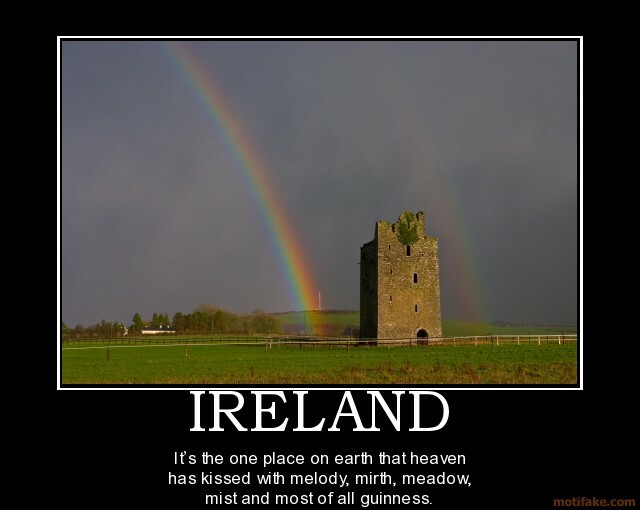 Today, Thomas sees a different Dublin. Cycling infrastructure has increased, new bike shops are opening up and two weeks ago he rode into a traffic jam of cyclists – the first traffic jam Thomas was happy to get stuck in. Recently, his son Ryan turned three. As a present, Thomas and his wife gave their son a draisienne – a walking powered bicycle for children. Without training wheels. There’s no need to risk wasting a year. Recently, we’ve been having a lot of fun shooting cycling video’s in Dublin. Together with documentary director, cameraman and cycling fanatic Paddy Cahill, we’ve filmed the back alleys of Portobello, the pedestrian paths along the Grand Canal, and the traffic-filled tarmac of Camden street. And in filming, we found each urban setting was – in its own way – great for cycling. We’re sharing the video’s below, so you can see for yourself. The back alleys in Portobello are the most comfortable cycling area. Portobello is a harbour of red-bricked houses without through traffic. Only its Lennox Street has some boutiques, a design agency and the Bretzel Bakery; all with well-kept colourful storefronts – telling you these entrepreneurs devote attention to every last detail of their business. But apart from Lennox Street, the neighbourhood is built exclusively for the families that live there. The atmosphere is classic and timeless, and reminds you of Mary Poppins. So it’s here we shot a film about a Lady on a bicycle; with a star appearance by cycling fashion designer Georgia Scott. The pedestrian paths along the Canal would have beaten the Portobello cycling experience, if only it wasn’t illegal to cycle there. However, despite the illegality, clandestine cyclists and pedestrians seem to co-exist peacefully during off-peak hours. Cyclists use the path to get to the old willow near Rathmines Road, pausing every now and then to stare at the swans or swerving aside to allow a pedestrian to pass. When we were shooting a film with Gavin and his daughter Isabel (“Izzie”) in a delivery bicycle, we decided to use these paths on our way to feed the ducks. When you watch the film, you’ll see in the end no ducks turned up, so we fed the swans instead. Camden Street is energetic, filled with taxi’s, shops, and unloading lorries. It’s the street where Dublin City Council’s Cycling Officer enjoys his daily commute most; seeing the street as an industrious convergence traffic, like a human ant farm. It was the perfect scenery for our film with Buzz Fendall – Dublin’s most famous (and least hairy) barrista. In that film, Buzz packs his delivery bike with ‘Fixx’ coffee packets. ‘Fixx’ is a cofffee blend Buzz engineered himself – and it’s rapidly getting popular with other coffee shops in town. His colleague Monica then goes off on her delivery route. Click on the film below, to see what a working day looks like for her.